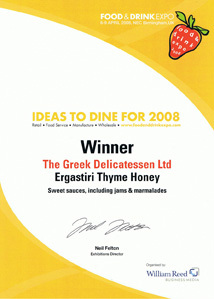 A series of awards proves the high quality of our honey products and the superiority of our company. For years we have been working dedicated and loyal to the values of one of the treasures that our country has to offer, a fact that has awarded us with your trust and has given us motive and strength to keep providing you the best. 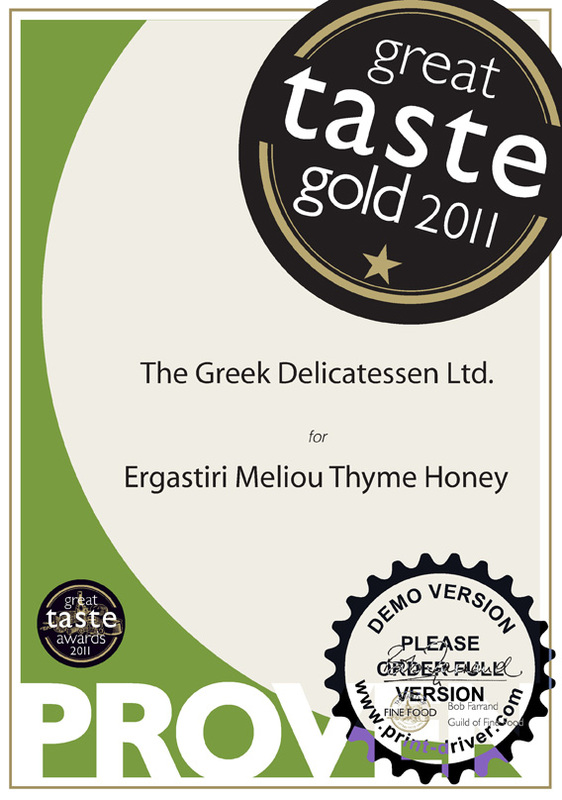 Greek nature's best honey! 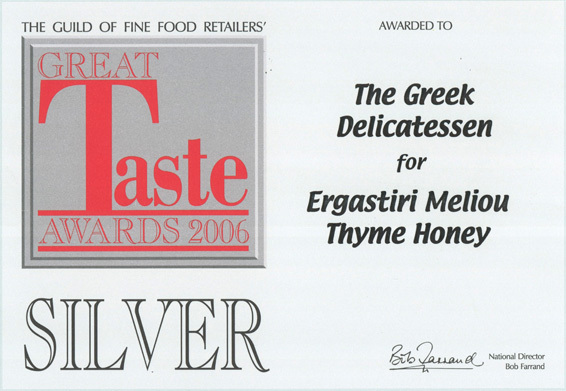 The Greek thyme honey "Ergastiri meliou" has won international recognition and fame and attracts educated customers from Greece and around the world.